All the new releases of Delcam’s CAM software will be demonstrated at WESTEC 2010 in Los Angeles California, March 23-25, 2010 on booth #2269. Most important to note for these new CAM releases is that Delcam’s development team (the largest in the industry) has been able to use the full power of recent hardware developments to further reduce calculation times with both parallel processing and multi-threading to dramatically increase output. The main benefit of these developments is that users can prepare data in the foreground while calculating toolpaths in the background. This eliminates the need for the user to wait for each calculation to be completed before he can start preparing the next operation. Similarly, the user can be setting the parameters needed to machine one area of a part, while toolpaths are being calculated in the background for machining a second area with a different strategy. Productivity is also increased because the computer can continue with a series of calculations during the user’s breaks or even overnight. Calculations can be “queued” (lined up) by the operator and the software will automatically start the next operation as soon as each toolpath is generated. This approach can be used with single core equipment but the benefits are even greater with computers having two or more cores. The multi-threading capabilities allow individual calculations to be divided between the cores in a multi-core machine. This improves calculation times significantly so increasing user productivity, reducing any down-time where machine tools are waiting for NC data and minimizing lead times (an average around 25%) on a dual-core PC. Other specific enhancements within PowerMILL include improvements to workplane and block definition, easier editing of toolpath start points and further development of the Tooling Database. FeaturCAM 2010 features faster 3D and machine simulation, dual simulation view, improved pattern tree structure and improved definitions for turning and milling feeds. The most important development in PartMaker 2010 is the ability to import PowerMILL strategies for highly-sophisticated 3-axis and complex 5-axis machining, including blade and blisk machining, directly into PartMaker. They can then be manipulated and synchronized on PartMaker’s Process Table, and then simulated and post processed directly from the PartMaker working environment. This integrated solution of two market leading technologies assures users they will never be limited in their ability to program and optimize parts in the most efficient and powerful way possible. 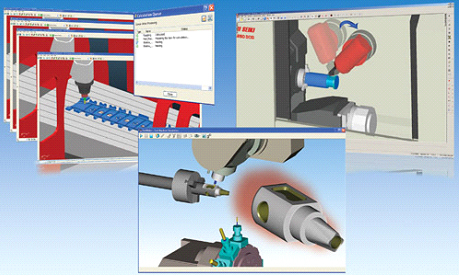 In addition, PartMaker Version 2010 includes an improved facility for automating the programming and simulation of thread whirling, a programming technique often used in the programming of “bone screw” threads as well as other specialty threads commonly found on surgical implants. Other productivity enhancements include enhanced grooving functionality, powerful and flexible threading capability, improved solids-based programming and additional CAD functionality. Peabody, MA, January 2010: Pinpoint Laser Systems® is announcing a new storage display to be used with the Pinpoint Laser Microgage 2D family of products. This new Microgage 2D Display is fully compatible with our existing 2D measuring systems and enables the operator to record readings right on the factory floor. 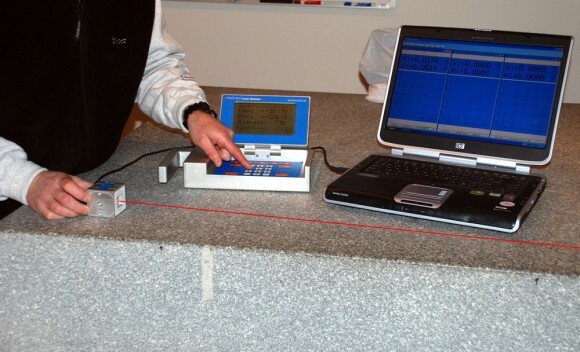 The measurement and alignment readings are stored in the portable Microgage 2D Display and then can be uploaded onto a laptop PC running our Pinpoint Capture software for analysis, plotting and storage. This Microgage 2D Display, along with our Microgage 2D system, can be used for machine tool alignment, roll and web alignment, bore alignment, shaft alignment and a variety of other industrial measuring applications. The Laser Microgage 2D is a powerful measuring and alignment system built for a wide variety of industrial applications. A laser transmitter projects a compact, highly focused laser beam that is detected by a portable receiver. The receiver is connected to the Microgage 2D Display and dimensionally shows where the receiver is located relative to the laser beam. Measurements can be made over a range of 180 feet with precision of better than 0.0001 inch. Adding several attachments allows the user to measure flatness, straightness, squareness, parallelism, bore alignment, shaft alignment and many other industrial alignment parameters. The Laser Microgage 2D is compact, easy to use and set up on the factory floor for both simple and complex measuring and alignment jobs. All Pinpoint products are designed and manufactured here in the United States at our manufacturing facility located in Peabody, Massachusetts. Along with developing new products and measuring systems, we also design custom mounts and fixture for customers. SCHAUMBURG, IL – (December 2009) – Opening up the market for innovations in the automation, medicine and electronics equipment industries, HEIDENHAIN Corporation presents a new generation of rotary encoders with IP 64 protection, absolute position-value formation and functional safety, all within a 35 mm diameter housing size. 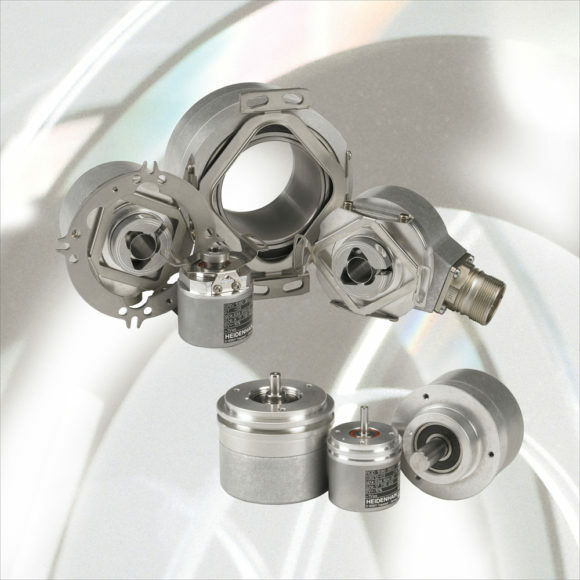 These small rotary encoders are known as HEIDENHAIN’s 1000 Series and designed to be especially useful as single-encoder measurement feedback systems in safety-oriented applications. HEIDENHAIN’s safety-oriented position encoders with functional safety provide two independently formed position values via a serial EnDat interface. They are certified according to the EN ISO 13849, EN 61508 and EN 954-1 standard for performance level d, safety integrity level 2 and category 3, respectively. The EnDat 2.2 version of these new absolute rotary encoders with serial data transfer offers a singleturn resolution of 23 bits, and a multiturn resolution of 12 bits. The supply voltage range is from 3.6 V to 14 V.
Eight new rotary encoders round out HEIDENHAIN’s 1000 Series including ECN 1013, ECN 1025, EQN 1025, EQN 1035, ROC 1013, ROC 1025, ROQ 1025 and ROQ 1035. MOORPARK, CA – January 5, 2010 – Gibbs and Associates, developer of GibbsCAM® software for maximizing programming efficiency of CNC machine tools and a Cimatron company, announced today that it is now shipping GibbsCAM 2010. This new release includes multiple new features, additions, enhancements, and productivity tools. GibbsCAM 2010 began shipping to new customers and maintenance customers in January 2010. These include more spiral machining options, new gouge check projection options, a new lead in/lead out “flip” option, a new axial shift damp option for trimming applications, and support for countersink and keyway cutters. More specific additions are the following. Geometry Creation – A Surface Tools plug-in has been added to create surfaces for repairing or improving machinability of surfaces from solids. Adaptive Cuts – This new option enables regulating the distance between paths based upon the angle of the surface to be machined to provide a consistent surface finish, regardless of surface angle. Impeller Roughing – Has been enhanced with functionality that covers more contingencies, especially useful when roughing near and around splitter blades. Tool Retraction – A new option, Retract Through Tube Center, enables retracting cutting tools from angled pockets while avoiding walls, especially useful for machining cylinder head ports and similar geometry. New, More Capable Plunge Roughing – No longer a plug-in, it is a tile in the CAM palette, with the ability to calculate material removal strategies that accommodate carbide-inserted drills, which require special motion for no-drag retractions, while avoiding collision in tight or narrow areas. Enhancements to Advanced 3D Machining – These include the addition of Hit Flats with specified tools for Pocketing, the ability to specify flatness tolerance in Flats Cut to ensure all desired “flat” areas are machined, locking high feed rate for Shortest Route and Minimal Vertical retract styles, addition of Trim to Ramp Advance as a Contour option for waterline cuts, specifying surface finish with step-over distance or scallop height parameters, and using Stock Bounding Box as an additional machining boundary. Addition of Option for Stock – Facet bodies, generated from a previous machining process, or brought in through a data file, can now be used as initial stock in solid pocketing. A significant development, the 64-bit implementation allows taking advantage of the more powerful, multi-processor PCs equipped with 4GB or more of RAM. This provides tighter interoperability with 64-bit CAD systems that are co-resident with GibbsCAM on a PC. Also, 64-bit operation reduces computation time when processing extremely long programs or working with complex geometry. It will also enable users to take advantage of system enhancements when running under the Windows 7 operating system. 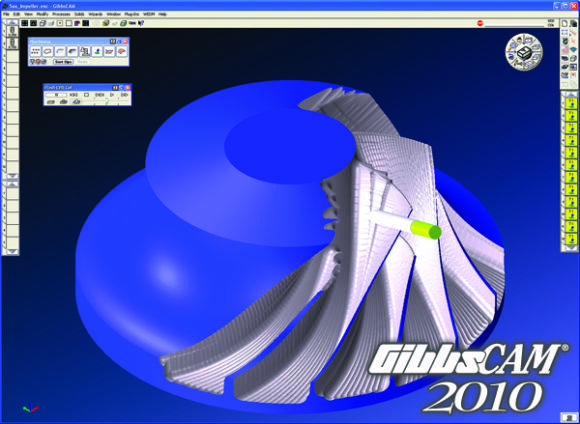 GibbsCAM 2010 includes many more features, some for ease of use, and others to extend functionality, including enhancements to the user interface and for the Milling, MTM (multi-task machining) and Wire EDM modules, as well as new add-ins for data exchange to support Inventor 2010, SolidWorks 2010, and additional CAD file import and translation. Furthermore, the Macros menu was enhanced with changes for easy access, uninterrupted operation, and support for 5-axis and Advanced 3D processes and calls to plug-ins. Stirling, N.J. (January 11, 2010) – Delivery of high power laser light in scientific, military, and industrial/ commercial applications normally requires bulky, inconvenient and often heavy articulated arms. For a more efficient approach to laser delivery, Fiberguide Industries offers its multimode, step-index optical fibers. 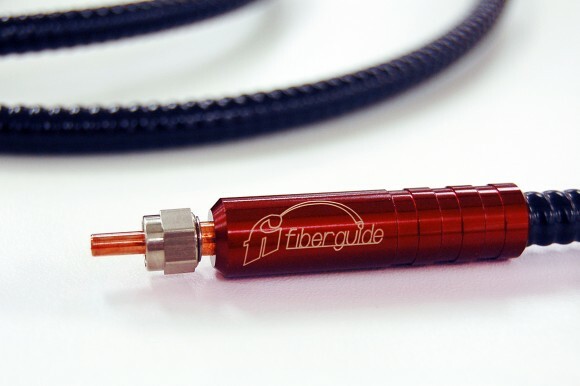 Fiberguide’s multimode fibers are a simple way to accurately deliver high power laser beams. They feature an air-gap design, where the fiber extends into free space. This provides an epoxy-free region where thermal energy can be safely dissipated without burning the surrounding material, a common cause of failure in standard connectors. To maximize power handling and beam uniformity, fiber end surfaces are cleaved and then laser polished to eliminate contaminants, scratches, chips and pits. Standard core diameters of 100µ, 200µ, 300µ, 400µ, 600µ, 1000µ and 1500µ are available, with non standard diameters available upon request. To aid in the correct fiber diameter selection for each particular application, Fiberguide’s new data sheets provide updated technical information. Risk Check for balances and scales. 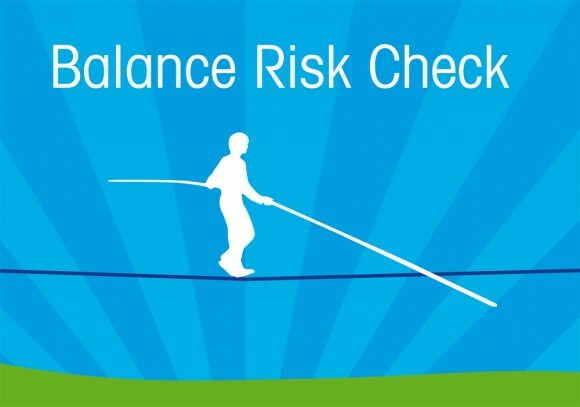 Risk Check is an interactive online assessment tool that provides both qualitative and quantitative analysis of balance performance and weighing environment. In a matter of minutes, Risk Check provides advice on optimizing quality assurance. Quality Managers gain insight on improving weighing processes to save time and money, and to reduce waste. Risk Check helps quality managers assess the appropriateness of their weighing environment, and balance testing frequency. Then, by plugging in real-world data, quality managers discover if their “weighing risk”–the possibility that poor weighing accuracy or the environment are skewing measurements–is low, or if they need to make changes to help ensure safe, accurate and consistent results. Finally, Risk Check provides expert advice on which adjustments will optimize balance performance and reduce the risk of inaccurate measurements. This can be critical in industries where external auditors test a company’s quality system according to set standards. “It serves as a sort of ‘mock audit’–a rehearsal for the actual audit,” explains Huber. Risk Check analyzes weighing risks based on the international weighing guideline Good Weighing Practice™, or GWP®. The guideline is appropriate for use by quality, laboratory and manufacturing managers in the pharmaceutical, chemical and food and beverage industries, or in any industry that relies on accurate materials weighing to produce uniform results. 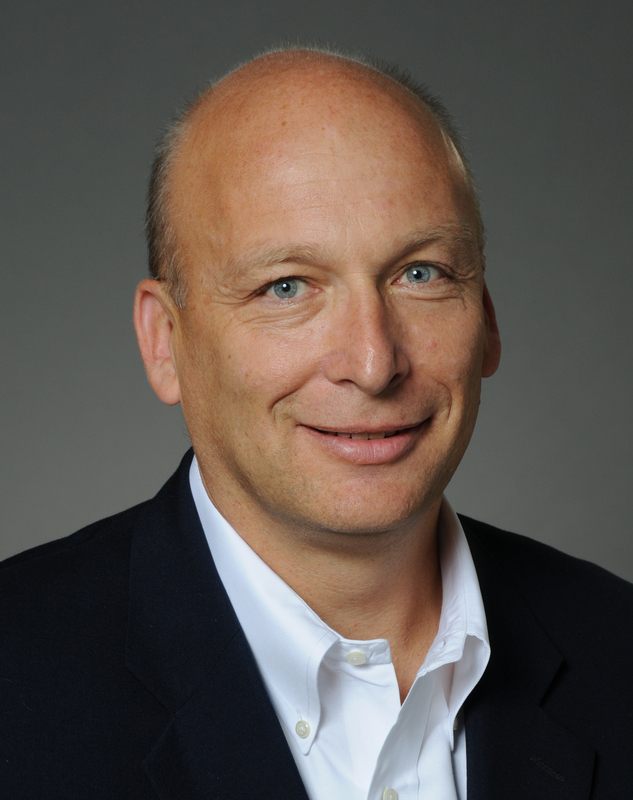 Charlotte, NC (January 7, 2010) – Jim King will join Okuma America Corporation as the Senior Vice President of Sales. Mr. King will be responsible for leading the Okuma sales team and spearheading the relationships with the Okuma distributors in North and South America. He brings to Okuma nearly 30 years of experience working in industrial markets, including automation and control software. Mr. King comes to Okuma from Siemens Energy and Automation where he served as the Director of Strategic Channel Development. While at Siemens, he was successful at bringing discipline and structure to the distributor network, resulting in significant sales increases. Mr. King will be based at the Okuma America Corporation headquarters in Charlotte, NC and will join Okuma on Monday, January 18. The latest PartMaker Version is officially released; packed with new functionality and enhanced capability. Figure 1: PartMaker Version 2010 is now available to end users. PartMaker Version 2010 is the most ambitious PartMaker release made to date, featuring an unprecedented level of new technology and improvements across the entire PartMaker product line. Fort Washington, PA – PartMaker Inc., a division of Delcam Plc, is pleased to announce that PartMaker Version 2010, its latest version of PartMaker Software for programming CNC Mills, Lathes, WireEDMs, Turn-Mill Centers and Swiss-type lathes is now available. PartMaker Version 2010 is the most significant PartMaker release made to date as it features a number of new powerful features and enhancements that will allow users to program faster, make more complex parts and take advantage of the latest in machine tool technology. Major highlights of this newest release, PartMaker Version 2010, include the ability to perform 5-axis simultaneous milling on multi-axis lathes, more powerful milling functionality, enhanced grooving routines, faster tool path creation, improved solid model-based programming tools and the ability to better visualize thread whirling. A host of additional productivity, user-driven enhancements will also be featured in PartMaker Version 2010. The 5-axis simultaneous milling functionality in PartMaker Version 2010 is based on robust, well-proven technology used in PowerMILL, Delcam’s world leading specialist NC CAM software for the manufacture of complex shapes. PartMaker Version 2010 features an optional module to perform simultaneous 5-axis swarf milling on multi-axis lathes. Swarf machining is a technique that allows side cutting with an endmill while proceeding along the surface of a part, such as the sidewalls of a tapered rib. Swarf machining can be used for profiling the edge of components using the side of the tool to remove material. The benefits of 5-axis simultaneous swarf machining over traditional 3-axis milling strategies include significantly reduced machining time and improved surface finish. Employing swarfing can allow parts to be machined complete in a single set-up by allowing for more advanced de-burring techniques thus eliminating time consuming and laborious additional finishing. The new swarfing functionality in PartMaker lets users take advantage of B-axis lathes with 5-axis simultaneous machining functionality. PartMaker’s 5-axis swarf milling is powerful, yet easy to use, allowing the user to apply this complex machining technique in an intuitive manner. For all complex 5-axis machining strategies currently supported by PowerMILL, including blade and blisk machining, as well as for highly sophisticated 3-axis strategies, PartMaker Version 2010 will feature the option for a direct interface to PowerMILL. PowerMILL tool paths can be imported directly into PartMaker Version 2010, manipulated and synchronized on PartMaker’s Process Table, simulated and post processed directly from the PartMaker working environment. This integrated solution of two market leading technologies assures users they will never be limited in their ability to program and optimize parts in the most efficient and powerful way possible. PartMaker Version 2010 features a number of more advanced 2 ½ axis milling routines not available in previous PartMaker versions including a variety of High Speed Machining Strategies, Trochoidal Milling, Rest Area Machining, Face Milling and a more powerful Pocketing strategy among others. These additional milling strategies are also based on PowerMILL technology and have been adapted to work inside of PartMaker in an efficient and easy-to-use manner. Additionally, the software’s chamfering ability is much improved, allowing users to automatically chamfer or round any edge with a single mouse click. This functionality is critical for “dropping parts complete” on multi-axis lathes and eliminating costly secondary operations. PartMaker Version 2010 also features totally new and highly sophisticated functionality for thread milling as well as automated face milling. PartMaker Version 2010 includes an improved facility for automating the programming and simulation of thread whirling, a programming technique often used in the programming of “bone screw” threads as well as other specialty threads commonly found on threaded surgical implants. The popularity of thread whirling attachments on Swiss-type lathes have grown substantially in recent years because of the dual benefit this technique offers manufacturers making threaded parts. Specifically, thread whirling allows threaded products to be produced faster because this technique only requires a single pass, where as traditional multi-pass threading routines require multiple passes to achieve the same result. Additionally, with the rigidity afforded by a sliding-headstock Swiss-lathe, thread whirling can also provide higher and more repeatable precision. 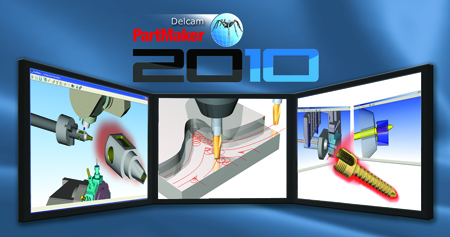 PartMaker Version 2010 includes specially developed algorithms and user interface to automate the programming of this unique manufacturing technique. Additionally, PartMaker’s 3D simulation fully simulates machining with a thread whirling attachment as these attachments can generally be quite large inside the working envelope of a machine and thus provide additional risk of collision during machining. PartMaker Version 2010 includes a number of user requested productivity enhancements. Among these improvements are: enhanced grooving functionality, powerful and flexible threading capability, improved solids-based programming and additional CAD functionality. Additionally, 2D tool path selection has been improved from previous versions. The new automated tool path selection techniques in PartMaker Version 2010 will provide users a significant productivity improvement by measurably speeding up programming time. Space ball support has also been added in PartMaker Version 2010. Additionally, a number of improvements to the software’s Tool Database have been made in Version 2010. PartMaker Version 2010 features a new facility for automatically updating to the most recent release of the software directly from the PartMaker application’s user interface. Additionally, users will also be able to update to the most recent version of their licensed multi-axis turning post processors directly from the software’s user interface as well. PartMaker Inc.’s application staff maintains a library of well documented, well supported multi-axis turning post processors which include virtually every Swiss and Turn-Mill machine ever built. These post processors are constantly being improved to include new functionality. With PartMaker Version 2010, users will be able to tap into these improvements automatically, by just downloading their licensed post processors from the software’s user interface with the click of a button. These updates improvements to both post processors as well as accompanying machine simulation files for the software’s Advanced and Full Machine Simulation modules. PartMaker is a Knowledge Based Machining system, allowing it to provide a substantial gain in programming efficiency by remembering the tools, material and process information necessary to machine individual part features. It thus relieves the user from reentering the same features information for subsequent parts. It also improves productivity by placing the emphasis on tool management functions. PartMaker pioneered the field of CAM software for Turn-Mills and Swiss-type lathes with its patented Visual Programming Approach for programming multi-axis lathes with live tooling. It assures quicker learning and easier use. It makes an extensive use of pictures to help the user describe tools, part features and machining data. Synchronization of tools working on multiple spindles is achieved by a few mouse clicks. PartMaker Inc. is a subsidiary of Delcam Plc, the world’s leading developer and supplier of complete CAD/CAM software solutions. Delcam Plc is publicly traded on the AIM exchange in London. While PartMaker is sold direct in North America by PartMaker Inc. PartMaker is sold overseas through a network of sales partner offices operating in over 120 countries. 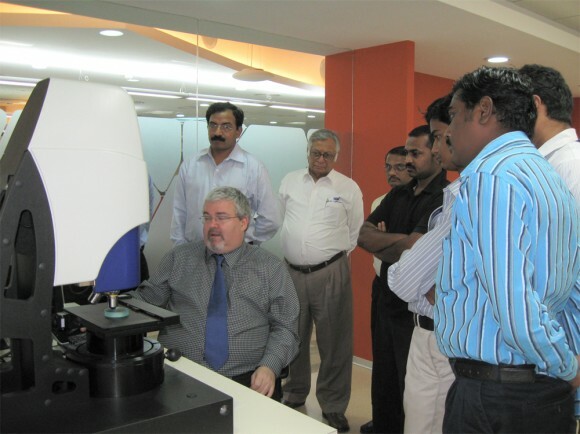 BANGALORE, INDIA—AMETEK Taylor Hobson, a leading manufacturer of ultra-precision measurement instrumentation, has expanded its service and support capabilities in India with the opening of an office in Whitefield, Bangalore. The new facility serves as a base for Taylor Hobson’s India sales and service operations as well as a training centre for its Indian customers. In addition to instrument demonstration and training, the office has a repair facility and workspace for sales, service and engineering employees. Taylor Hobson is an ultra-precision technology company operating at the highest levels of accuracy within the field of surface and form metrology, providing for the most demanding industrial and research applications. Taylor Hobson currently serves the Indian aerospace, automotive, and manufacturing industries with its industry-leading line of contact and non-contact surface profiling and measurement systems.